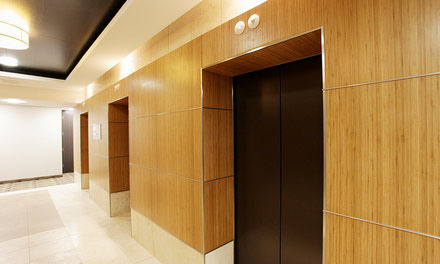 McMurray Interiors is a provider of custom cabs, elevator interior finishes and elevator entrances. We can provide and install these finishes at your site, ship them in a modular package for installation by others, outfit your new cab shell by sending it to our facility, or provide the entire cab. We can update your lobby with a variety of finishes which include: stainless steel, wood veneers, plastic laminates, solid surface or custom metal etching to your design. Our commitment to proper coordination, planning and timely scheduling assures our customer a complete and successful project. 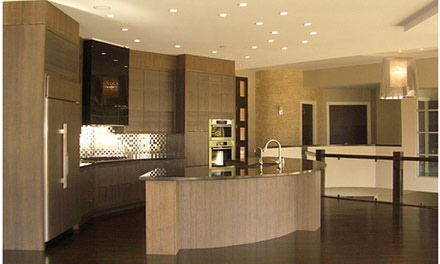 We have ongoing projects at any time.